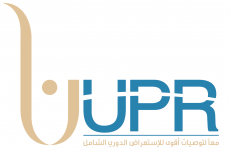 We, the undersigned organisations of the Coalition of Libyan Human Rights Organisations (the Coalition), look forward to Libya’s Working Group meeting (the review) of the Universal Periodic Review (UPR) taking place today 13 May 2015, and call on the State of Libya to accept and implement the upcoming recommendations. Following the first UPR examination of Libya’s human rights performance in 2010, a total of 120 recommendations were made, of which the State of Libya accepted 66 and rejected 24 and left a further 30 recommendations to be examined. In 2012, the State of Libya revised its previous position and reconsidered the recommendations made from the first review and accepted a further 47 recommendations. However, despite this positive step, the State of Libya has failed to realise the vast majority of the recommendations accepted. We note the submission of Libya’s state report (the State Report) to the UN Office of the High Commissioner on Human Rights. The State Report sets out a summary of the human rights situation over the past four years and a half, including the achievements and obstacles, and an assessment of the implementation status of the recommendations that it accepted. We welcome the State Report’s concluding remarks stating that it hopes to achieve greater promotion of human rights through cooperating with Libyan civil society organisations (CSOs) and international organisations. Despite this, it remains disappointing that the State of Libya failed to conduct any national consultations with Libyan civil society, in order to consider their concerns, prior to submitting the State Report. We welcome the expressed willingness of the State of Libya, as stated in the State Report, to implement the upcoming UPR recommendations. We encourage the State of Libya to accept all recommendations which would align the State of Libya's conduct with international human rights standards and best practices, especiallyconcern human rights that are extremely at risk or regularly violated in Libya. These include recommendations to ensure greater protection for freedom of expression, freedom of press, internally displaced persons, disability rights, women’s rights, minority and cultural rights, and freedom from torture. In addition to the upcoming recommendations, we urge the State of Libya to continue to reflect on the previous UPR cycle’s recommendations, which have yet to be adequately implemented. We remind the Libyan state that these past recommendations remain relevant and of urgent concern. They should therefore be read to complement the upcoming recommendations during the implementation process. In addition, we call on the State of Libya to collaborate with and involve Libyan CSOs during the implementation stage of the UPR recommendations and provide mechanisms to facilitate and promote such engagement. In the last UPR, civil society was prevented from interacting with international mechanisms, such as the UPR. This resulted in a detrimental impact on both the intended purpose of such mechanisms and ultimately the human rights enjoyed by individuals and communities within Libya. We remind the Libyan state of its public commitment to human rights as outlined in its State Report and strongly implore the State of Libya to use this occasion to reflect on the shortcomings from the past review as well as the recommendation coming out from the current review. The Coalition of Libyan Human Rights Organisations offers its assistance in assuring the implementation of recommendations and the further engagement of civil society in the process.